I have an investor client who wants me to take a look at a property for them. Let’s see what we find. 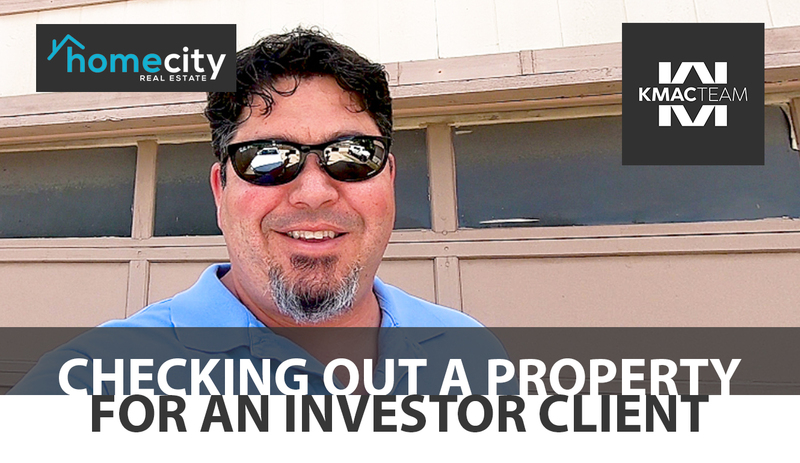 If you follow along with me in the video above, you’ll see a property an investor client of mine is thinking about purchasing. Is it worth the purchase, though? On the outside, the garage door has quite a bit of damage, and there’s a lot of wood rot and mold damage all around the exterior. However, the A/C unit is on the newer side. On the inside, everything has been pretty well gutted. In fact, the entire kitchen’s been taken out. The ductwork will have to be replaced, and the original owners smoked so much that you can only see the original wall color outlined where the picture frames hung. This home’s mostly a blank slate that a buyer can do whatever they want with, but no bank is going to finance this purchase. It would have to be an all-cash deal. It’s a doable project, but my client would have to spend a lot of money for a full renovation, so where it’s priced at now is too high for the amount of work involved. We’ll have to wait and see what happens. As always, if you need any real estate advice or you’re thinking of buying or selling a property, don’t hesitate to reach out to me. I’d be happy to help you. Last updated April 22 at 8:43 am.